Visitors to the Masjid in 2018 has shared with us their thoughts after the visit. Some of their comments and their photos can be seen below. Comments from Visitors 2017 can be seen here. Comments from Visitors 2016 can be seen here. Comments from Visitors 2015 can be seen here. Comments from Visitors 2014 and before can be seen here. ・I have a few Muslim friends, but I was able to deepen my understanding of Islam even more today by learning about things I cannot ask directly to them. 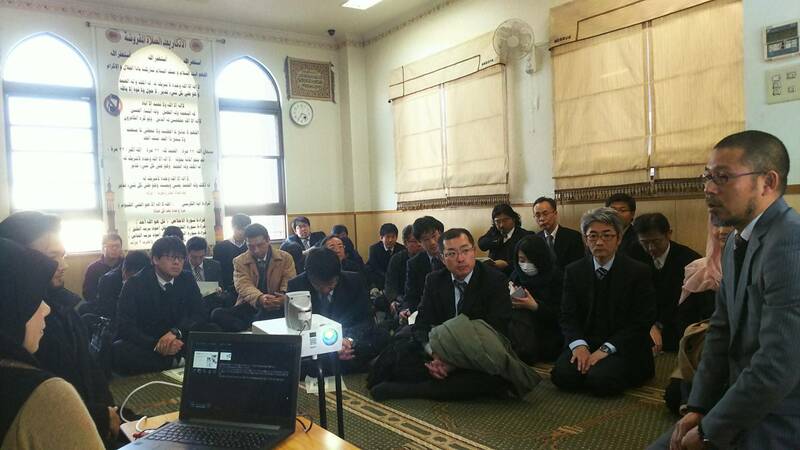 I hope more people of Japan and the world will have an understanding of Islam. ・I had prejudice against Islam that there is only little freedom and have to obey the rules with no exception, but after listening to the talk today, I felt that Islam has a lot of freedom and that it’s flexible. I though people die from hunger because of fasting, but in reality, there are people that actually look forward for it, and I felt it is a month where everyone can become happy. ・I very much enjoined the visit. Thank you. It was a very easy to understand and interesting talk, just like the talk at Mizuho-ward last time. I have never thought of extremist organizations nor the Middle-East in the context of “education”. Visiting the actual place of prayer and place of washing was a very valuable experience for me. I was able to truly feel the connectedness of faith and purity. The atmosphere created by the white board, book shelf, and so on were also very nice. ・Thank you so much for the valuable talk, the Masjid visit, and for hosting the cultural exchange event. It’s needless to say that my understanding of Islam has deepened, but I was also astonished to know about the young Muslims, a generation that I had no opportunity to know until this day.Their way of looking at and understanding Islam was way beyond my expectations. ・Other people might be afraid to go to a Mosque, but I was relieved to find out there were many peace-loving Muslims, and learnt new things. ・After actually visiting an Islamic Mosque myself, I realized again how there are misunderstandings in the perception of the public. I feel it is important that young generations like us acquire the correct knowledge and take action. ・I was able to deepen my understanding of Halal food. ・I felt that the reason there is a strong image of “Islam=People doing bad things” in Japan, is that there is no religion rooted inside the Japanese society. I was one of them. However, my heart was moved after learning about Islam. 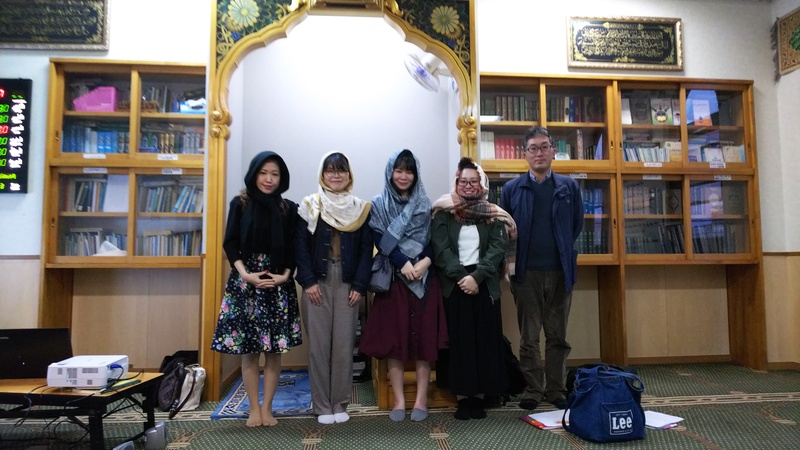 Even though there are differences with the culture and lifestyle of Japan, I was amazed after knowing things such as the reason why Islam started. My image of Islam has changed. It was a nice experience being able to see people praying, as we hardly have opportunities like this. ・When I told my mom I was going to a Mosque today, she said “Why? That’s scary”. I was looking forward to visiting today because I didn’t have any prejudice, but there are people out there who have prejudice like my mom, and I felt that it indeed is really difficult to get everyone to understand about something, whatever it may be about. ・I like traveling abroad, and I’ve been to countries like Australia and England. No one says anything when I travel to countries with a big Christian population, but when I speak about countries with a big Muslim population, saying that I want to travel there someday, people get worried saying “Isn’t it dangerous?”. 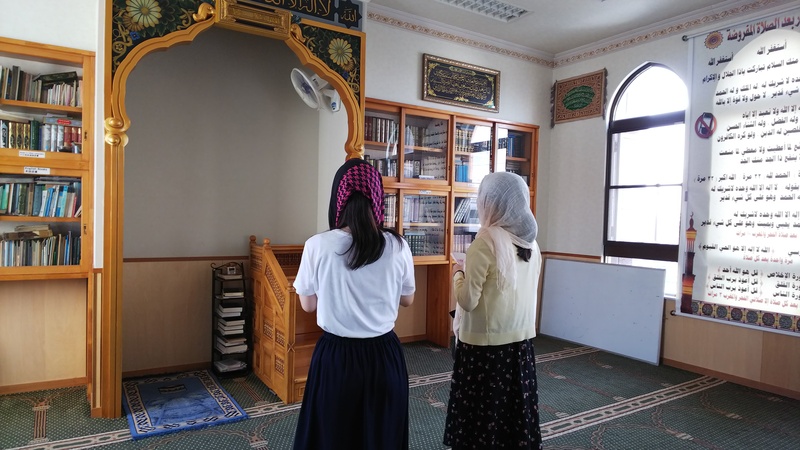 I feel that Japanese do not understand Islam, and that there are many who connect the IS with the religion. I now want to change the image of Islam even if it’s little by little, and I hope Japan becomes a country where Muslims find it easier to live in. For that, I want to actively study so that I can become much more knowledgeable about Islam. ・Islam wasn’t the suffocating strict religion I imagined it to be, but rather the middle path between Judaism and Christianity. I think the way I view women with scarves changed from today. I wish these facts are spread across the entire country of Japan. It was also nice being able to observe the prayer. ・Thank you for allowing me to visit Masjid Nagoya today. I learnt that Islam is not too strict at all, nor is it too loose, but rather a religion of the middle path. I was able to spend a very beneficial time here, and I want to recommend my friends to come visit as well. » For details of the event, click here. 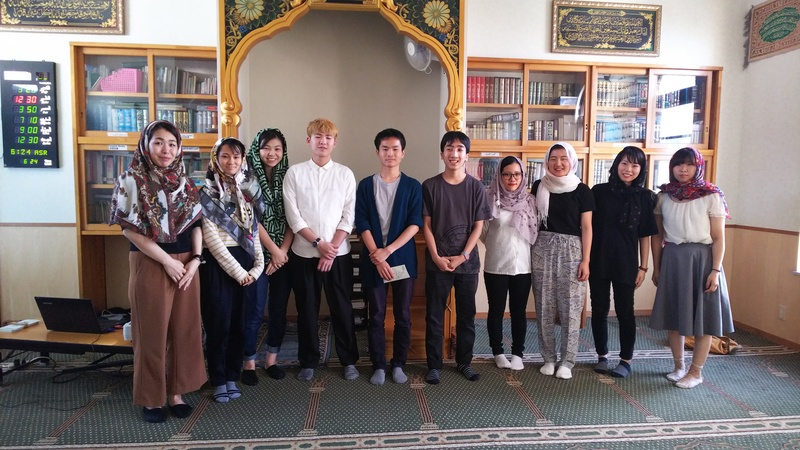 ・Thank you for allowing us to visit Masjid Nagoya today. It was an extremely beneficial time where I could learn a lot of new things. […] After what I’ve learnt today, my way of thinking has changed tremendously. I think there are a lot of people out there that don’t know much just like myself, so I wish to change their perception as well. […] Even after we left, the students looked happy talking about the game they just played, and I feel that today has become an excellent event for them as well. They might have had worries about the culture they are not familiar with, but through this interaction event, I think they understood that Muslims are no different than themselves. 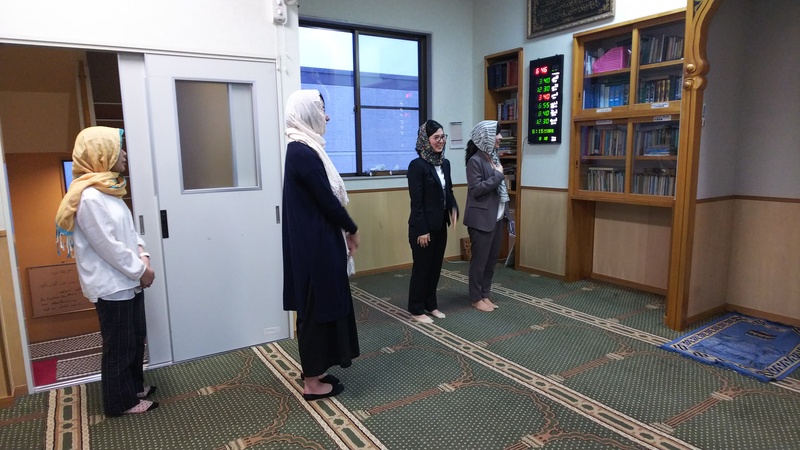 Even though that Muslims are no different than themselves is an obvious fact, it’s also something you are not able to realize unless you have the knowledge, and so I believe it has become a wonderful experience for them as well. ・I observed the prayer in the Mosque, and was able to experience the peace-loving spirit of Islam. ・I learnt that there are mistakes written about religion even in textbooks. ・The Islamic idea of how there isn’t a previous life, was absolutely beyond my imagination. ・Thank you so much for giving me your precious time today and helping me out with my graduation thesis. 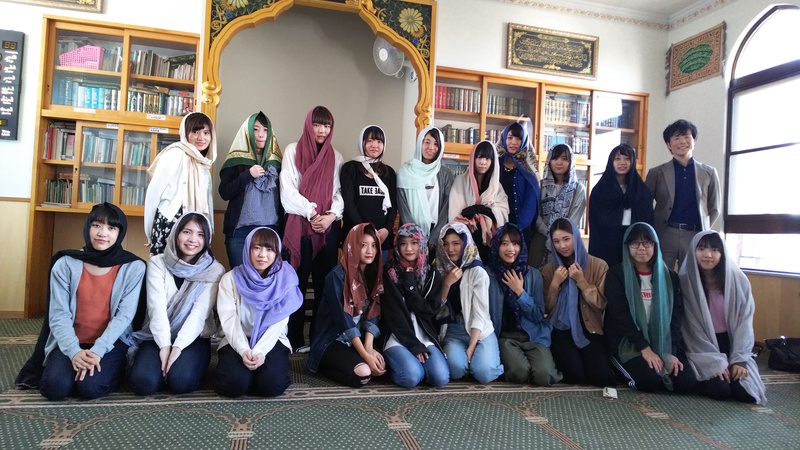 […]The question I had was “how will Islam in modern day Japan change? And what will cause it?”. Today, I understood that the activism from Ms. Sarah, as a mother, to “make society an easier place to live for the children” is exactly the instigating factor in spreading an understanding within the Japanese public. I felt that Ms. Sarah’s activism is something that I should definitely make a special mention of. 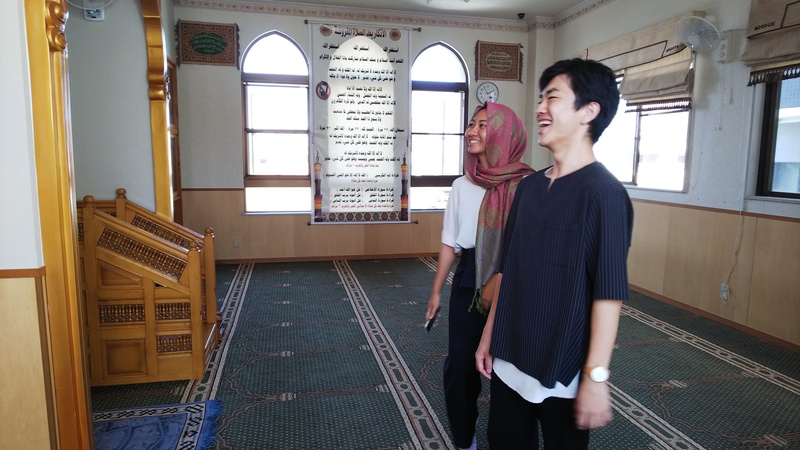 Thus, my initial plan on writing about the Masjid as “a Masjid in the countryside” has now changed to a plan on writing about this Masjid as “the Nagoya Majid that is engaging in a type of innovative activism still rare in Japan, to better the understanding of the Japanese people”. ・Thank you for hosting this event, and also preparing the amazing Egyptian dinner. I hope you can tell me the recipe someday hahaha. […]. I myself was very moved by the statement, “Please look at me as a human being”. I hope I can interact with people as a “person” without framing them into a box such as that of a particular culture or religion. ・I used to think Muslims thought and acted in a completely different way from us. But, I realized and felt that what’s different from most of the Japanese is really only the religion, and that they are actually normal people with no other difference in anything else. 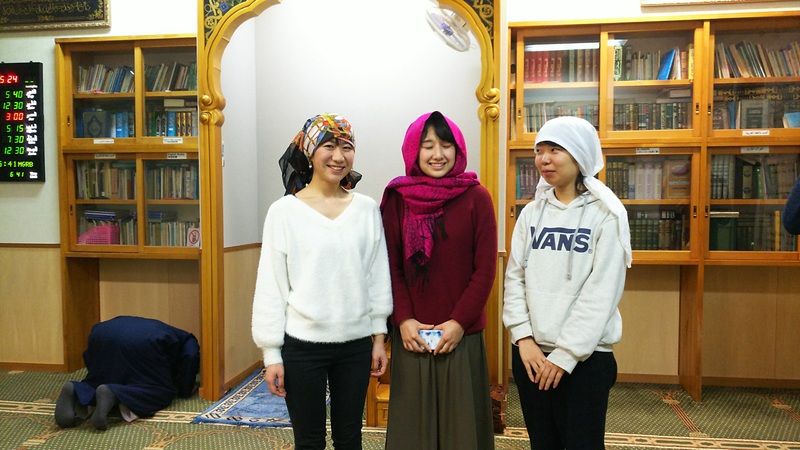 ・I’ve made Muslim friends when I went abroad, but I had a lot of questions I couldn’t ask them because I wasn’t sure if it was okay to ask or not about their religion. With an event like today, I could ask questions, and I think I have deepened my understanding. Also, it was fun getting to know Muslims of my age. ・What surprised me first of all, was that there were this many Muslims, and that they, as Japanese themselves, spoke Japanese fluently. 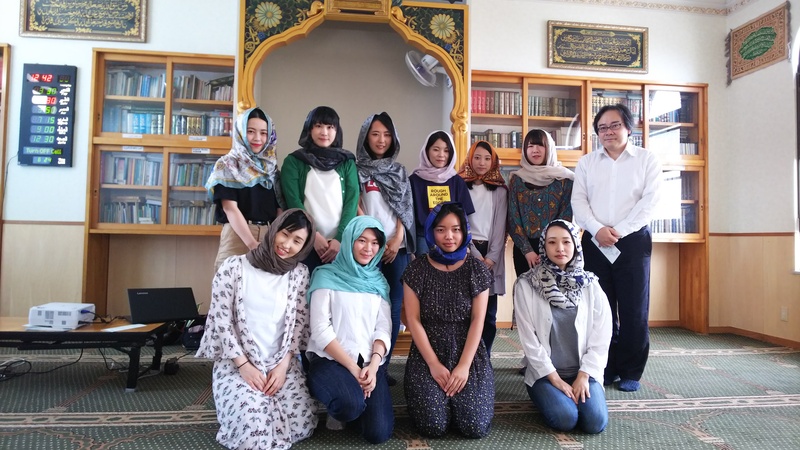 When there aren’t even many Japanese that can speak Japanese beautifully, I was surprised to see people with an Islamic culture that spoke Japanese so fluently. I understood well that they want to be seen as human beings, before being seen as part of their religion. It surprised me that the Islamic culture actually had a lot more freedom than I thought. Ramadan and the 5 daily prayers are something normal for them, but the fact that they can do this from a young age without seeing it as a burden is amazing. I realized more vividly the reality of them having periods in their life where they couldn’t open up because of experiencing something like racism. ・ I learnt a lot listening to opinions from Muslims of my age. I’m particularly glad that I heard stories that only they know of, such as their experience regarding after-parties of school events, how they have to be careful even when shopping in a convenience store, and how they are worried that they might be causing their friends trouble because of themselves. If there is an event like this again next year, I hope other students from my school would join too. ・What especially struck me was how Islam values fairness between men and women, rather than equality. There is a recent trend within Japan of encouraging women to work, but I’ve always thought it’s weird how women are told to work in the same way as men, when there are physical differences and they have to nurture children. I felt the idea of protecting women and making it fair is a worldview that Japan should take in as well. ・I realized again, how interesting it is to study about Islam when what I’ve learnt through books and research papers, were connected to what I actually saw today. At the same time, however, it made me realize that my knowledge had been unbalanced. The realities cannot be known until you actually come and see it for yourself. As I continue my studies about Islam at my university, I want to make sure I actually go out and see for myself, never forget what I see, and gather information through my very own ears. ・Time flied so quickly that I literally forgot about the time, as Ms. Sarah’s talk was such an easy to understand explanation of the basics of Islam, touching on various topics, ranging from my own feelings, common stereotypes amongst Japanese, the image of religion amongst modern people, problems in everyday lives, to the history, and the situation of the world, and so on. […]. It was especially interesting how 1.6 billion believers are all unique in their practice of their religion as a result of their devotion to Allah. ・We have a Muslim student in our school. We try our best to accommodate the needs, but I felt that what is actually more important is to let other students have an understanding of these needs. ・It is needless to say that we must be careful when they teach their subjects, but as for being considerate of the struggles that Muslim students might be facing, I realized today, that this is something we need to look at as a responsibility for the entire school. ・I learnt today what I could not learn through books regarding Islam and the realities of Muslims. I also realized the importance of coming to see with our own eyes. ・The fact that Islam is tolerant, was something new for me to learn. It was a nice experience being able to watch the actual prayer as well. 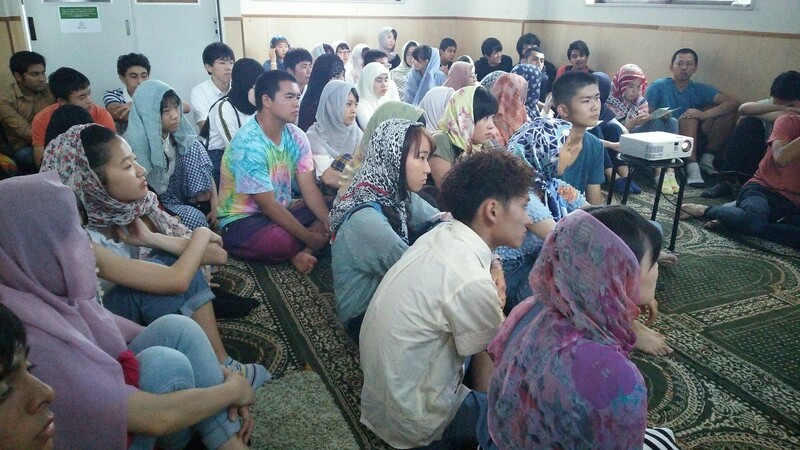 ・The struggles Muslims in Japan face, were different from what I expected. This made me think about my understanding of Islam in Japan. Being able to watch the prayer was a rare and valuable experience. ・What struck me the most, was that there are children who can’t even tell their friends that they are Muslim. It hurts my heart, that they can be ridiculed for being Muslim, or can be seen as how the IS is seen. I felt that the biggest problem, is not concerning food or prayer rooms, but rather concerning the “prejudices”. ・I was actually interested in Nagoya Masjid from before, so it was amazing that I could I actually visit. I was able to learn new things about Muslims. This is a place I want more people to visit. ・Thank you for the great opportunity, and the heartwarming welcome! My friend who was with me also said she had so much fun, and a valuable experience. I was actually nervous until the day before, whether I could join and talk with everyone, but everyone was so friendly, and they welcomed us so heartwarmingly. We had a very fun and valuable time. […]. From the conversations with the mothers, I learnt that many children start questioning their identity as a Muslim, from when they start interacting with the outside world, through opportunities such as enrolling in elementary school. Also, it was interesting how children were actually saying “Bismillah” when it was their turn, when playing card games after prayer. They sang a song about Islam (I might be wrong) for us as well.